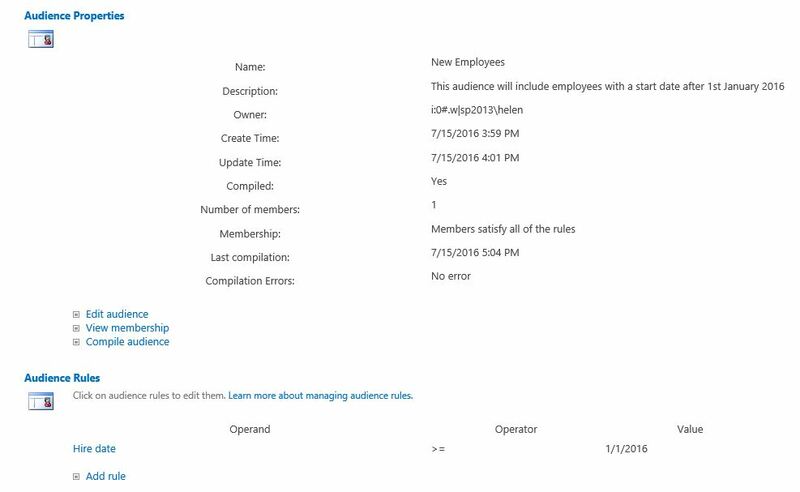 Automatically identifying a 'new employees' group in SharePoint can be achieved really easily using the SharePoint Global Audience function. 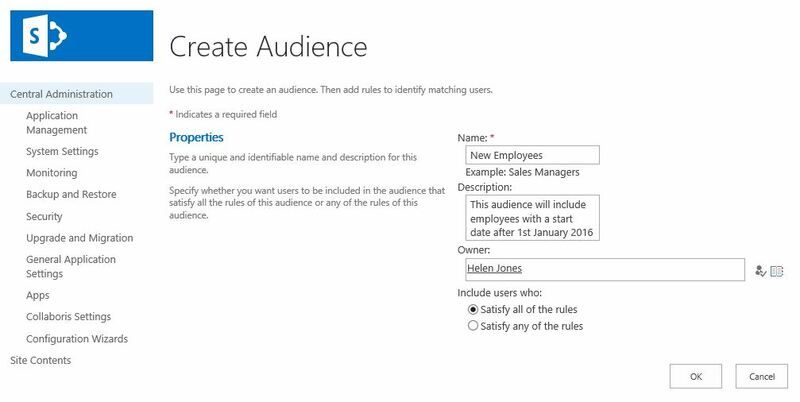 Global Audiences can be automatically compiled based on a set of rules that you specify. The only restrictions are that this data must be captured and maintained in the SharePoint User Profile (and obviously kept up to date to remain meaningful). Firstly you need to check the data you collect in the SharePoint User Profiles. 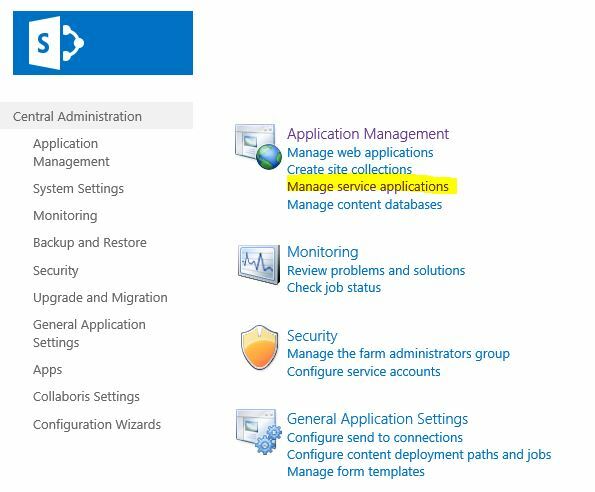 In the 'Manage User Profiles' option in SharePoint Central Administration, I looked for a profile (in this case myself), clicked the 'find' button and then the down arrow against my profile followed by 'Edit My Profile' to see what data fields are available in my environment. Apart from a dreadfully out of date picture, I found the field 'Hire Date' and amended this to a recent date for testing. Once you have decided on the criteria you need to use in order to create your Global Audience, you can follow these simple steps to create and compile it. Now you can set your rules as required. In this example I've chosen the 'Hire Date' property and '>=' to select start dates after the 1st January 2016. Add additional rules as required to identify the specific subset of employees you wish to include. 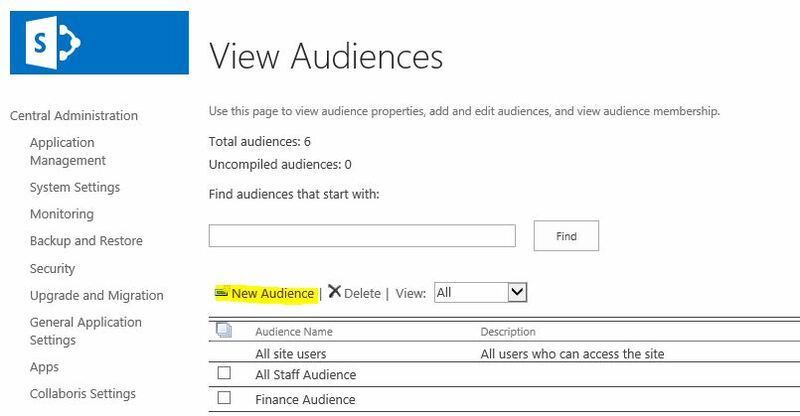 Once you have chosen all relevant rules, you can 'compile' the audience to see how many people meet those criteria and will join the Audience. You can click 'view membership' to find out who has met the criteria you set and whom have now joined this audience. In this case only I have been selected! 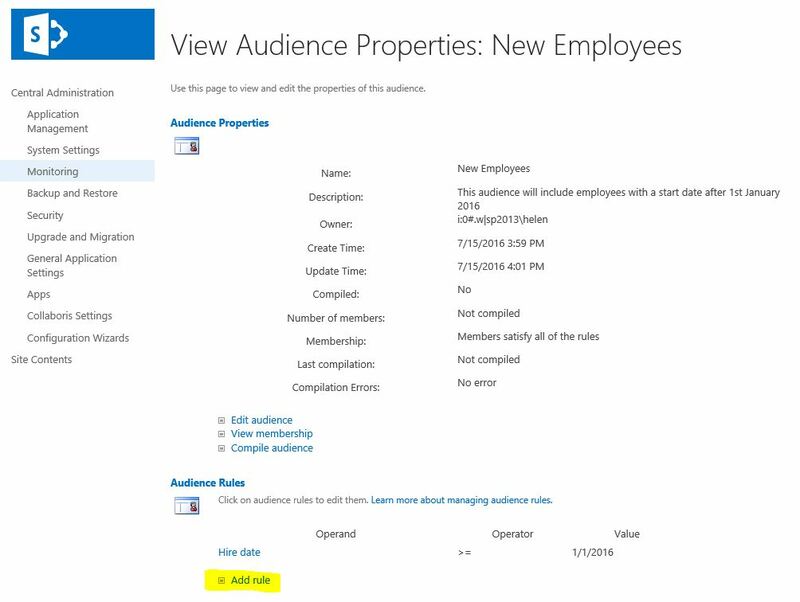 Now your 'New Employee' Audience is up and running you can use it wherever you like. 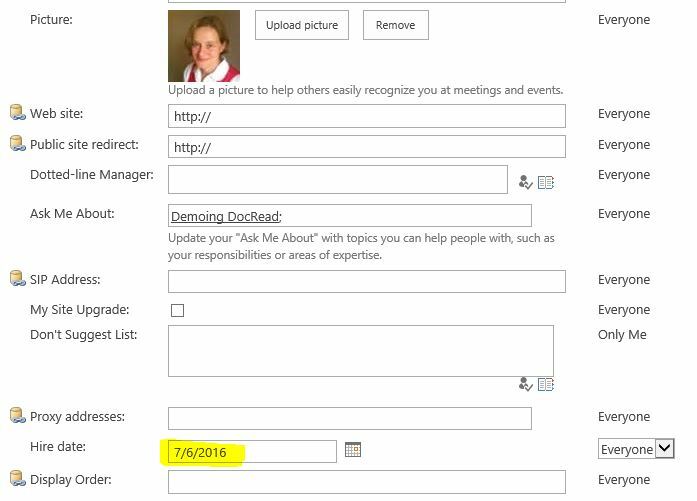 If you have a Professional or Enterprise edition of DocRead you can select this audience when assigning tasks and by selecting people in this manner​ you can target all sorts of important documentation (employee handbook, operating procedures etc.) to new employees without affecting the existing employees who may have already received and confirmed this information. Thanks for your article. I tried it and have always 0 results. I started to map the hire date from the UPS on the WhenCreated field of the AD ==> Worked! Then i created an audience just like you, tried the conditions , etc but get always 0 results. Did you make a special step to make it work?